Sergeant Jon Davis, staff member at the Ohio State Highway Patrol Training Academy. 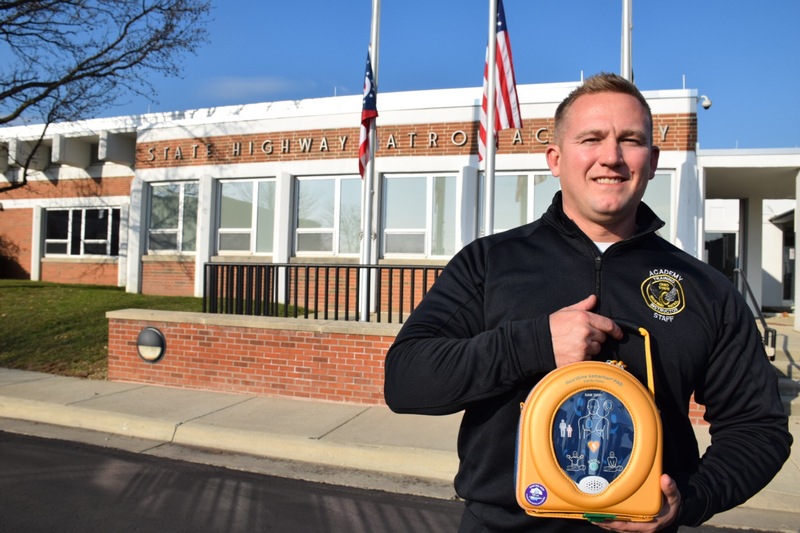 The AED will protect hundreds in the event of a sudden cardiac arrest (SCA), a life-threatening condition in which the heart stops beating without warning. In the event of an SCA at the Training Academy, the HeartSine AED can be used to analyze the victim’s heart rhythm and deliver an electrical shock, if needed, in order to restore the heart to normal rhythm. Click here to learn more about HeartSine AEDs.